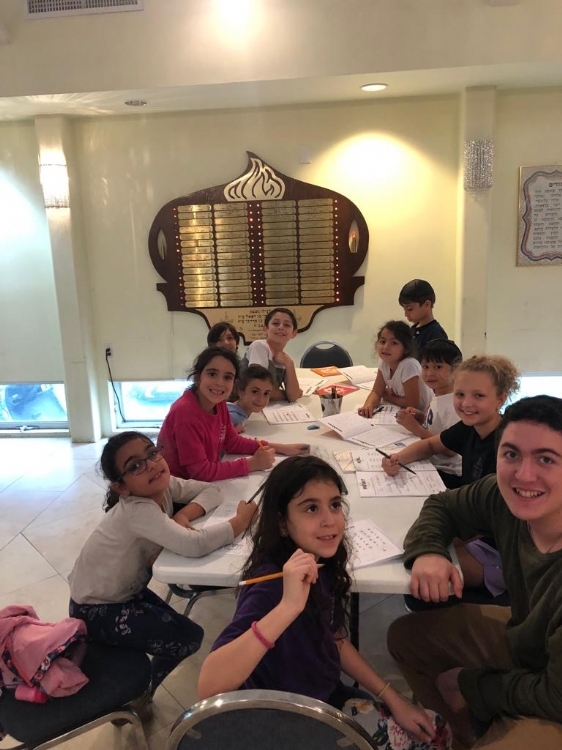 If your child is in our Aleph Champ Hebrew language class and you've wondered what all those colors and levels are all about, this letter is for you! Used around the world in Chabad Hebrew schools, this highly innovative, cutting edge, and successful program, provides the motivation and inspiration for Chabad Hebrew School students, changing the course of Hebrew reading & writing for children worldwide. Each level has its own expectations and standards which must be met perfectly before the student can progress to the next level. This insures that the student has a solid foundation on which to build. Each level has its own color "belt". Our belts are the medallions we wear during Aleph Champ time. As in a regular karate class, students are not grouped by age but by level of expertise as denoted by the color of their medallions. The beauty of the Aleph Champ program, the conscientious student, or the student who begins this program at a later age or time, can progress at his/her own rate, surpassing all their age-mates if the so choose, and advancing to reading books in Hebrew on their own. The Hebrew alphabet, vowels, and word formations are divided up into each level. i. White Aleph Champion: Master reading & writing the first 18 letters of the Aleph Bet. iv. Purple Aleph Champion: Master reading & writing basic prayers. Each book is divided into small sections, usually 3-4 pages. When your child has completed a section and it has been checked & signed by a teacher, he/she will be tested using the coordinated color primer. Your child will get their bookmark signed if they complete the primer page correctly. They are now able to move on to the next section. We look forward to helping your child become a Black Aleph Champ…! …..And be just like their very own teachers!